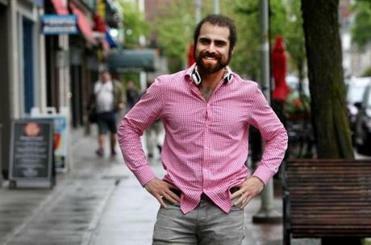 I’m a Muslim — ask me about Islam. 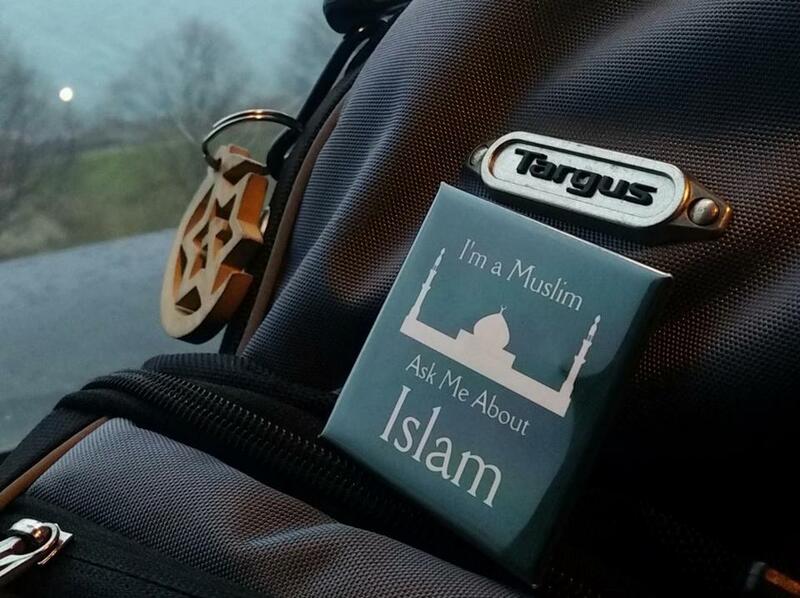 Secured to my backpack is a pin with the invitation: “I’m a Muslim — ask me about Islam.” I placed it there as a college sophomore in 2011. It was a helpful way to encourage dialogue between myself and fellow students at Providence College, many of whom did not know a Muslim personally. It has been there ever since. But I’ve been struggling this week with whether I should keep it, in light of the skyrocketing hate crimes against Muslims after the Paris terrorist attacks, including a call to “burn your local mosque” posted on the Facebook page of one of New England’s biggest mosques. Along with our global community, I stand in solidarity with the people of France during this difficult time. Along with the majority of the Muslim community, I abhor that Islam is being used to justify what it does not stand for. My heart is heavy with the loss and trauma resulting from this act of terrorism, and how its pain will be felt in the coming months and years on the individual and national scale. Yet while it is heartening to see solidarity for Paris — as anyone deserves in the face of terror — I’m also disheartened that non-Western victims of the same terrorism in Lebanon, Kenya, and Nigeria have not been recipients of that solidarity. One of the goals of radical Islamic terrorist groups is to divide Muslims and the rest of the world. The disparity in our concern for victims of terrorism, depending on the country attacked and the dominant religion, inadvertently feeds into their narrative. Cambridge City Councilor Nadeem Mazen wants Muslims to participate more in politics and government, focusing on universal needs. Thus, I am deeply discouraged and disappointed by our state governor’s decision to reject refugees who are just as much victims of terrorism. It does not reflect our American values for embracing diversity and supporting those in need. This is especially problematic for Massachusetts, a state founded for freedom from religious oppression. I know we are better than the actions we are presently pursuing based on fear. To succumb to that fear is to react as terrorists want us to; to move past it delegitimizes their ideology, one purporting Islam as inherently incompatible with the West. I am as committed to my American identity as I am to my Muslim identity, but I often cannot feel fully at home in either due to misunderstandings and poorly managed conflicts between the two. Muslims like myself seeking to bring reconciliation often encounter backlash and distrust from extremist Muslims and Americans alike. But my hybrid identity as a Muslim-American born and raised in New Jersey serves as the foundation for my commitment to dialogue facilitation, conflict resolution, and peacebuilding. As an American, I know the sheer terror that 9/11 instilled in our individual and collective psyche. I understand the desire to regain a sense of security and comfort in our everyday lives and to defend against any group or ideology that appears even remotely threatening. As a Muslim, I know the exasperation of having our religion hijacked and used for something that was never its purpose. I understand the outrage of being held responsible for what we did not do – in the form of discrimination, prejudice, and warfare against home countries. The sources of misunderstanding and pain for Americans and Muslims are actually not so different: They arise out of fear and trauma. So, too, the sources for healing are shared, and can be found in dialogue, compassion, and community. I see my purpose as guiding members of these groups to realizing these commonalities, and from this basis developing relationships that mitigate and prevent violent manifestations of conflict. Through my hybrid identity as a Muslim-American, I strive to provide one of many examples of how it is indeed possible to move past fear of “the other” and toward mutually beneficial relationships. One of my most treasured verses in the Qur’an — introduced to me by a Catholic — has a universal message: “If God had so willed, He could have made you a single people, but His plan is to test you in what He has given you, so strive as one human race in all virtues according to what He has given you (5:48).” Most especially in the wake of trauma and terror, how we each decide to engage with “the other” is our own individual choice, but the fate is shared by us all. For me, the pin will remain on my backpack. Saadia Ahmad is a student studying conflict resolution at the McCormack Graduate School of Policy and Global Studies at the University of Massachusetts Boston. She can be reached at saadia.ahmad001@umb.edu. Evan Horowitz: What's next for France, and the world?